BBC's Question Time foxed us a bit last week. 2 out of 6 for BQ. Only 0.1% growth could be more disappointing. This week, try and guess three of the four, first to be asked questions. My secretary Miss CD, last weeks winner of our Fantasy Question Time, will again be picking the top 4 questions for tonight's QT. 1. Ireland - Peace process 2. Afghanistan, buying off the Taliban 3. Miliband and the faith school 4. More tolerant Britain. Homosexual acceptance. yesterday the beeb were trying to run a 'simmering Tory discontent with Cameron' line, clearly planted by Campbell et al. Maybe they'll give this another outing ? 1. The Danegeld - Jane Moore was against, so I guess the Sun will be too. 3} Chilcot - illegal war. "Legality is a red herring. International law changes all the time, and that caused the Attorney General to disagree with himself"
4} Broken society. Was it blatant electioneering from Cameron. 5} University of east Anglia hiding emails and breaking the law. Did the BBC really allow this question? Someone goofed. TBF Ben Bradshaw answered it well. ND - Zero. Pick more next week ND! MS S-J Is the winner . Would you like to take the prize or come back and play again next week? 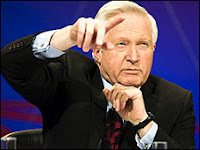 And guess where Dimbleby's own word count will come among his guests. Windbag usually comes about 3rd out of 4 panellists plus himself.